Recent worldwide demands in the booming medical sector have resulted in the growth of more complex materials and component testing. Increasing regulations regarding certification, traceability and auditing of data have introduced additional challenges to laboratory process management. As a result, more and more companies are turning to Zwick to provide a complete solution, due to its experience in the industry (which spans many decades). Zwick’s medical industry coordinator, Mr Erik Berndt, pays close attention to the market needs including the introduction of new products, applications and customer support. “Unlike many products in the market, complex mechanical tests, particularly those in orthopaedics, require a close co-operation between materials testing experts and medical specialists in order to match the test conditions as closely as possible to those found in the human body,” he explains. “In addition, Zwick has recently worked with many global organisations that develop products for cardiovascular surgery. They need to measure the forces experienced when surgeons insert catheters into the human body to carry out investigations and surgery,” Mr Berndt continues. 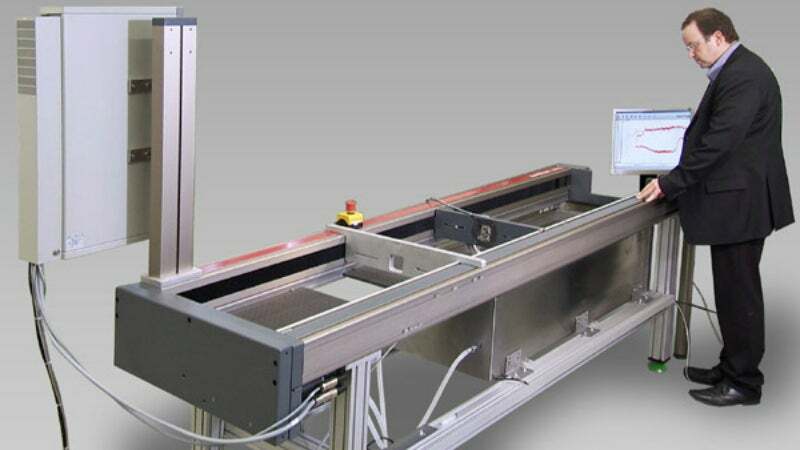 “After we understood the test requirements, we realised that the normal materials testing machine, which sits on a laboratory bench, was not a good solution, so we developed a special horizontal version. To this point, we have sold more than ten of these systems worldwide. Zwick Roell Group customers benefit from more than 150 years of experience in the manufacturing of high quality testing systems. Zwick is the global leader in static testing and is experiencing significant growth with its dynamic test systems. A financially strong and family-run business, its innovative product developments, diverse product range and global support provide tailored solutions targeted specifically at the needs of both research and development, and quality assurance customers. Serving more than 20 industry sectors with 950 employees, via manufacturing facilities in Germany, regional headquarters in Atlanta, Georgia, USA and Singapore, as well as offices in 56 countries worldwide, the brand name Zwick is a guarantee of the highest quality and support. For more information see our website. Fatigue tests are an essential element in the development of durable, safe, and reliable implants. Prototypes undergo extensive testing before entering the validation process. Based in Lemgo, Komet Medical uses a Zwick testing machine with linear drive for these tests. This brochure provides an overview of instruments, machines, systems, and services available from Zwick Roell for testing products from the medical technology and pharmaceutical industries, as well as their use in research and development (R&D), production, quality assurance, and control. Pulsating compressive strength tests (R=0.1) are performed on six specimens with a test frequency of up to 5Hz. Result: Generation of a Wöhler curve with a number of cycles to crack up to 5 million. Important requirements when testing medical products are the reproducibility of results and the minimisation of operator influences. Technology always greatly impacts medicine due to demographic changes and the associated socioeconomic challenges to the healthcare system. The Zwick Amsler HC Compact servo-hydraulic testing machine is used to simulate dynamic loadings on a hip prosthesis stem in accordance with the relevant standards, ISO 7206-4, ISO 7206-6, ISO 7206-8 and ASTM F2068. Developer and manufacturer of innovative self-injection devices, Haselmeier has selected Zwick's Materials Testing Laboratory to analyse the design qualification (DQ), installation qualification (IQ), and operational qualification (OQ) of its auto-injector products. Dental implants are used to replace teeth. The implant is embedded in the bone, acting as the root of the missing tooth. Zwick’s test fixtures meet the requirements specified in ISO 14801 and applies an oscillating pressure threshold load, which enables a comparison of dental implants of different constructions or sizes. Catheters are used for many reasons, including for transporting micro-instruments integrated in a patient's body. They enable surgeons to make surgical procedures as minimally invasive as possible. Zwick’s test fixture is used to determine the break-away force and glide force of syringes, syringe cartridges, and similar dosimeters. An autoinjector is a medical device used to administer liquid medication that is subject to strict quality controls. This year's testXpo testing technology forum – the 18th – saw Zwick present a completely new type of testing machine, designed for the fatigue-testing of small materials and components. It has been developed for the most demanding applications, including those found in medical engineering. Rapid technical advance combined with the need to use raw materials carefully has led to miniaturisation of mechanical, electromechanical and electronic components, causing a dramatic rise in demands placed on production accuracy as dimensional, form and positional tolerances become ever smaller.